Girls team still vying for spot in the playoffs. 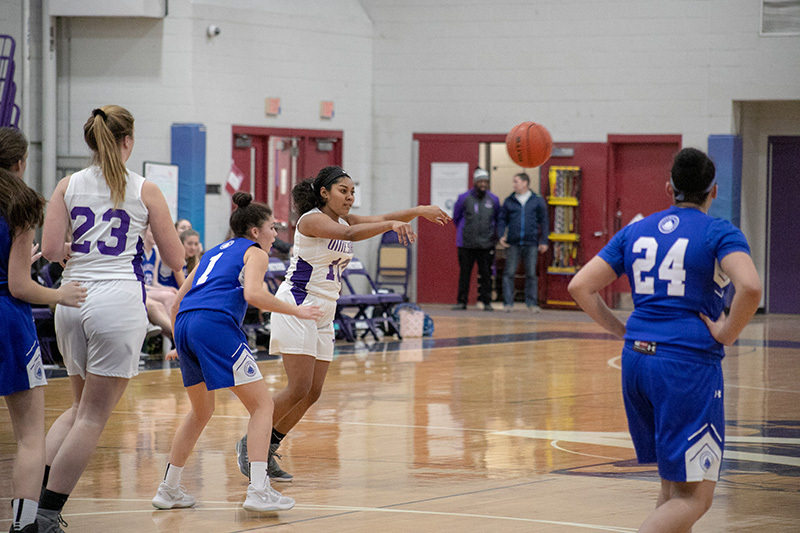 The last home game of the regular season for the Martha’s Vineyard Regional High School (MVRHS) girls basketball team ended in a 37-27 loss to Falmouth Academy (FA). Monday’s game was marked by strong offense from both sides, but poor passing and multiple turnovers resulted in the Vineyarder loss. The Vineyarders started the game off well, leading at the end of the first half 16-14. A combination of good shots and solid defense helped the girls hold the lead for the first half. 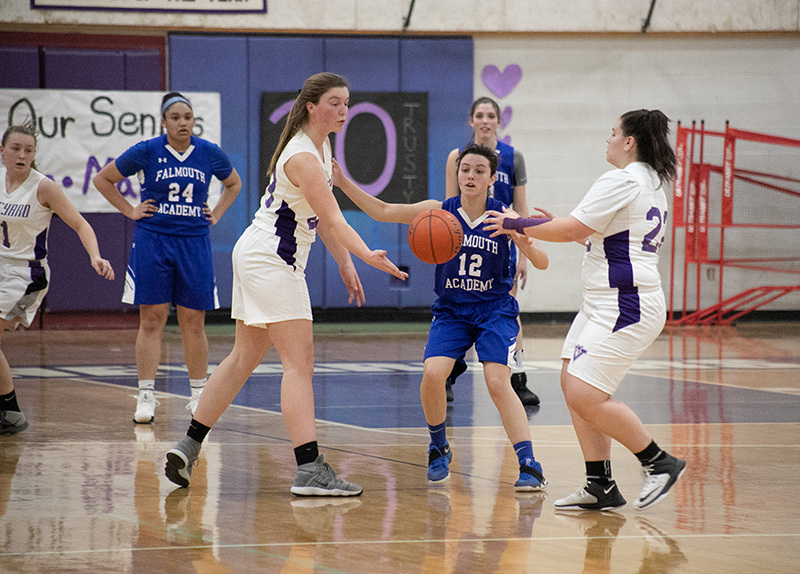 The Vineyarders’ primary attack was to feed the ball inside to MVRHS junior Sasha Lakis — a strategy that burned them as much as it helped them. Several turnovers came from poor passes to Lakis, and were flipped into points on the other end for FA. Lakis was a terrifying force inside the paint, scoring 16 points. Her dominance occurred on both ends of the floor, as she blocked numerous shots from FA players and grabbed several rebounds. 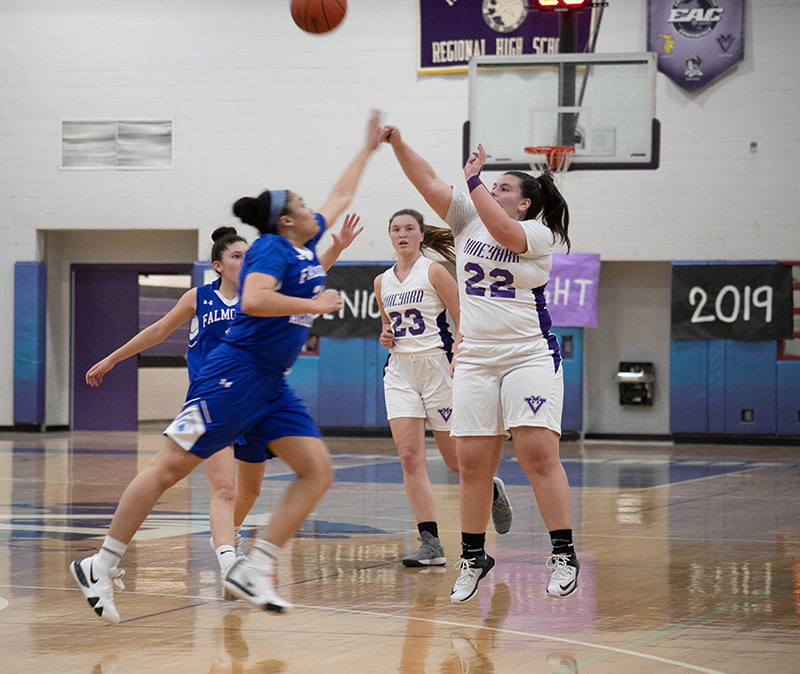 Other Vineyarder players who contributed were senior Summer Cardoza with six points off two three-pointers, senior Mataya Trusty with one basket, and junior Riley Yuhas contributing a three-pointer of her own. FA student Devin Hill, an Island resident, was the player with the hot hand of the night, scoring 18 points. Hill’s sister Erin Hill, who attended MVRHS, was the third girl in the school’s history to score 1,000 points. At halftime, Coach Sterling Bishop honored seniors Cardoza and Mataya Trusty for their four years as exceptional student-athletes. 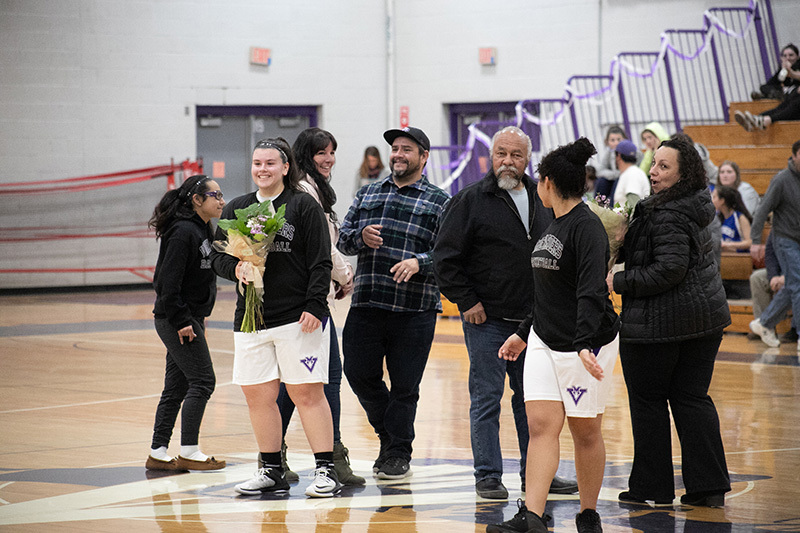 Cardoza’s and Trusty’s families walked out to half-court and were presented with flowers. With Monday’s loss, the girls team sits at an even nine wins and nine losses on the season. 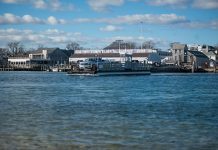 The team’s last two games will be at Sandwich on Wednesday and Cardinal Spellman in Brockton on Saturday. The girls need to win one of those games to make it to the playoffs. 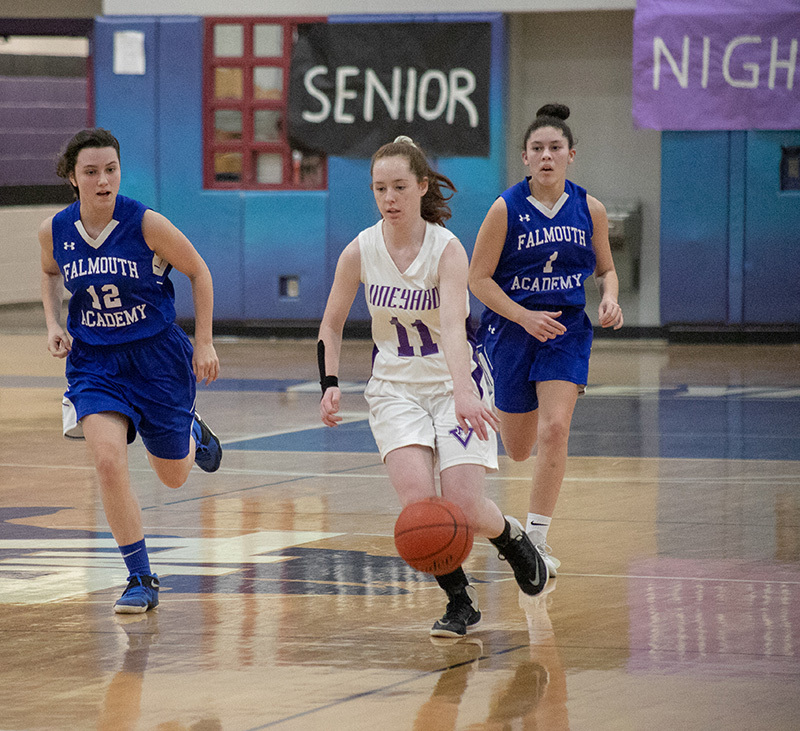 Bishop told The Times that the Vineyarders lost badly to both teams earlier in the season, but after 18 games, the girls in purple are a different team. Bishop said the girls have to focus on confidence. 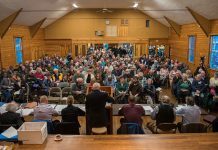 “We kind of need to just get back to our core,” Bishop said.